Born Out of the Industry That We Serve. Service Station Computer Systems Inc. (SSCS) was born in 1981 out of our founder's need to control his rapidly growing retail petroleum businesses with automation. What he found wasn't in a store on a shelf, so he hired a small development staff and together they engineered a solution that has now shipped to over 15,000 locations worldwide. Other progressive retailers took an interest and before long a software company was born. Because we're conceived out of the industry we serve, we maintain a perspective that helps us connect with operators and address their needs. A Legacy You Can Depend On. SSCS was founded and is headquartered in Salinas, California. Though we've experienced significant growth over the decades and extended our reach across the globe, we remain grounded in the community that supports us. 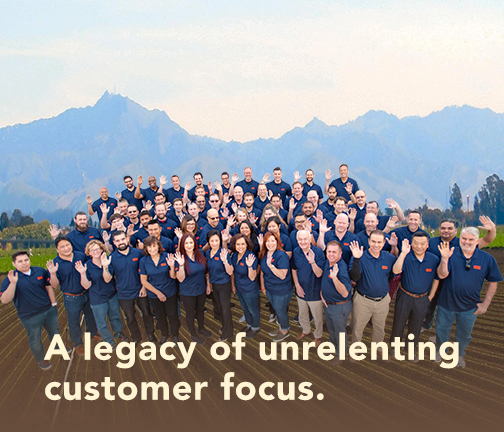 Our employees tend to set down roots here: seventy percent of us have been here 5 years or more; 50 percent, 10 years or more; and 30 percent, 15 years or more. You don't often find this consistency and stability in the high tech industry. The long tenure of our staff members helps the quality and speed of our software's development, the expertise of our technical support, and the caliber of our training and documentation. Our philosophy is simple: develop the tools our customers need to succeed. We consistently seek feedback from our user community to help shape future enhancements and develop tools that address retailer core concerns. Our solutions, as a result, align comfortably with and support the goals an operator sets for their business, while streamlining operations to make them more efficient and profitable. Our thorough understanding of operator goals and their variations differentiate SSCS in the marketplace. Customer referrals account for a plurality of our business, speaking to the reputation we’ve fostered across our customer base, whether they are small, single c-store operators or the largest oil companies in the world. An effective marketing method for SSCS from its very first days, referrals speak volumes to the positive reputation we've fostered across our customer base, from small, single c-store operators, to some of the largest oil companies in the world. You can read what our customers have to say about us, in their own words, on our website’s testimonials page and in the heart of the many C-store success stories in which SSCS has played a part. When you form a lasting connection with your customers, good outcomes tend to follow.